Feeling savvy enough to book your own shows/tours, but just need help in the process? Need an up to date EPK to send to media and venues? Do you want to reach out more media outlets? Do you need more fans without spending money on social media? Why not take advantage of some of our Music Professional Services and save yourself some time and energy? We provide Professional Services for independent artists. We are a team of Musicians, Pro Marketers, Talent Buyers and Music Tech gurus who are passionate about music and helping musicians to strive in this ever evolving music industry. 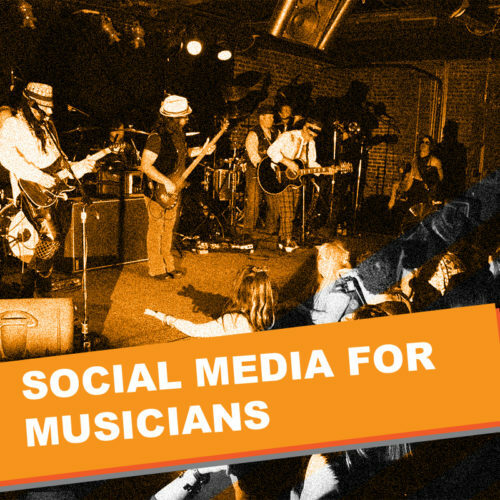 We focus on providing services that musicians really need to manage their career. We help artists with Booking, Social Media, Music Marketing, PR, Promotion, Electronic Press Kits and Digital Music Distribution. One of Tunetrax’s Music Pro Marketer will build your EPK to reach fans, venues, talent buyers and more. We give you the tools to keep your EPK always with your latest content, news, videos, songs and upcoming shows.Need a Professional Media Kit done right away for you? Click HERE to get started. Tunetrax will review your online presence (Official Website, Facebook, etc.) and send constructive feedback on how to best optimize site interface and navigation, ensuring that bookers and fans alike find exactly what they are looking for every time they visit. Quicker/Easier Navigation = Higher Conversion/Sales Rates. Click HERE to get started. Tunetrax will proofread your email template and send constructive feedback on how to receive more booking agent responses, and ultimately secure more shows where and when you need them. Click HERE to get started. Our dedicated staff is available to chat with anyone and everyone (regardless of experience level) seeking advice, references, inside market tips, and general insight into show and tour booking, promotion, social media, streaming, downloads, sponsorship opportunities, and more. Click HERE to get started.